※ 팬클럽 선예매 전, HOTTEST 6기 공식팬클럽 회원 인증을 반드시 완료하여 주시기 바랍니다. YES24에서 공식회원 인증이 완료된 분들에 한하여 예매 가능합니다. - 팬클럽 회원인증 시, HOTTEST 6기 가입 당시 생성된 이름, 예매번호, 회원등급(GOLD or SILVER)을 기입해주셔야 확인이 가능합니다. 회원정보는 아래 링크에서 인터파크 계정으로 로그인하시면 확인 가능합니다. 이후 오픈 되는 일반예매로 예매진행 가능하오니, 꼭 기간 내 인증을 완료하여 주시기 바랍니다. - 선예매 시 티켓은 회당 1인 2매만 예매가능하며, 일반예매 오픈 시 추가로 회당 1인 2매만 구매 가능합니다. - 팬클럽 회원인증 방법에 관하여 아래 안내사항을 잘 확인하시어 팬클럽 선예매 진행에 불이익이 없으시길 바랍니다. - 팬클럽회원 인증은 PC(웹)에서만 가능합니다. - 선 예매 전 [팬클럽회원 인증하기] 버튼을 클릭하여 팬클럽 인증이 완료되었는지 확인 후 예매진행 부탁드립니다. *Purchase Limit: 2 tickets per person each show. Additional 2 tickets can be purchased through GENERAL SALE each show. ※ Before FANCLUB PRESALE, please make your HOTTEST 6th Generation Verification completed. - Only those members of 2PM OFFICIAL FANCLUB HOTTEST 6th Generation Verified by YES24 are allowed to reserve tickets during the FANCLUB PRESALE. - It is required to fill in information such as Name, Reservation Number (Confirmation Number), Membership (GOLD or SILVER) which has been identified as HOTTEST 6th Generation on INTERPARK site to proceed the Verification process on YES24. Access to below links and log in with INTERPARK account in order to check information on INTERPARK ‘Reservation Check/Cancel’ page. - If one’s Verification is not completed during Verification Period, it is impossible to reserve tickets ahead of GENERAL SALE. So please note that the Verification will be available for a limited period. - FANCLUB PRESALE is limited to 2-ticket maximum each show and 2 additional tickets can be purchased through GENERAL SALE. - Please keep HOTTEST 6th Generation Verification Guide in mind to prevent any disadvantage in purchasing tickets. 1) Click the below link and log in with ‘YES24’ account via your web browser (PC). 3) After filling in one’s Name, Reservation Number (Confirmation Number) and Membership (GOLD or SILVER) click the ["Recieve ID verification"] button. If at least one of the three information does not match your HOTTEST 6th Generation’s records, the verification will not be processed. ["FANCLUB Membership information does not match. Please check your FANCLUB Membership information again"]. So please enter right information. - Verify one’s FANCLUB Membership will only be available via your web browser (PC). - If one’s HOTTEST 6th Generation Verification is completed, it is possible to log in again as a Verified member after logging out. - Only 1 YES24 account is allowed to be verified per person but Verification will be possible if one’s registered name for HOTTEST 6th Generation is different from YES24 account. 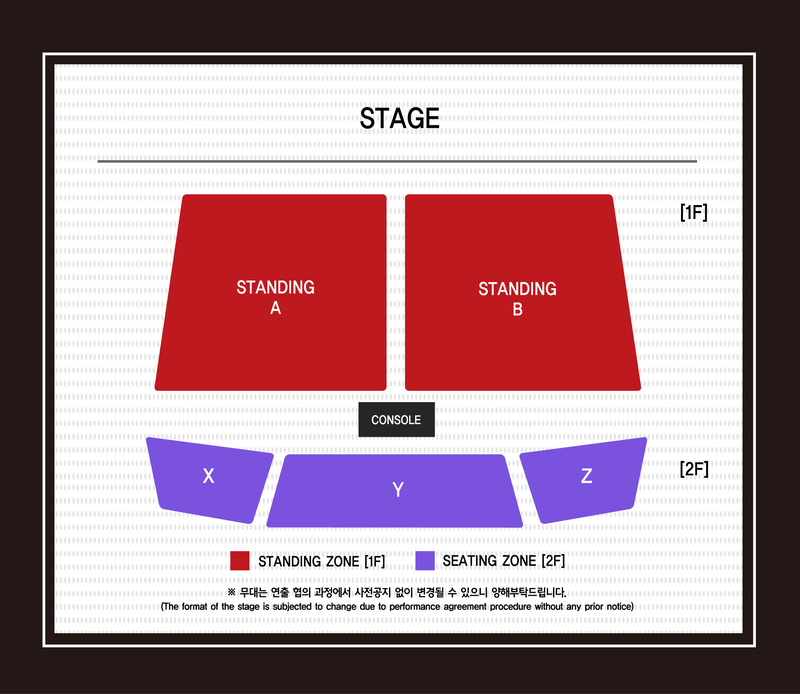 - Please click the ["Authentication(팬클럽회원 인증하기)"] button for checking your status before FANCLUB PRESALE. - To avoid confusion, there will be an order limit according to the level of the membership. Only prearranged membership will be Verified 2 hours before the designated ticketing time. (Ex. On the day of FANCLUB PRESALE for GOLD membership, all of SILVER membership will see the message ["FANCLUB Membership information does not match. Please check your FANCLUB Membership information again"]. - If HOTTEST 6th Generation Verification is not completed for all correct information, please e-mail customer service YESticket@yes24.com .